This magnificent 2 bedroom 2 bathroom apartment is located at the heart of Southgate arts and leisure precinct. It is located right next to Yarra River Walkway, only few minutes walk to Crown Casino, Arts Centre, Flinders Street Station, Federation Square and Melbourne CBD. Also walking distance to Royal Botanical Gardens, Kings Domain, the Shire of Remembrance, Melbourne Park (Tennis Centre) and Melbourne Cricket Ground (MCG) also 5 min to Albert Park (Australian Grand Prix). This stylish 2 bedroom and 2 bathroom apartment has spacious open living area and adjoining balcony. 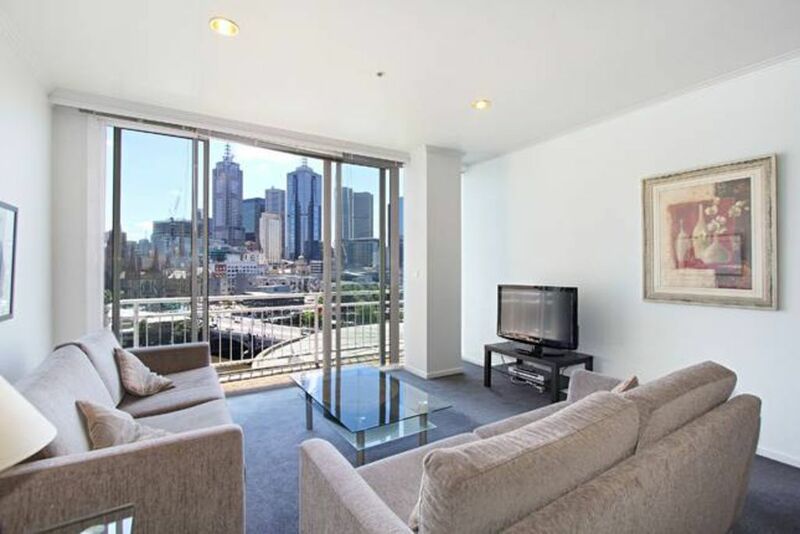 Stunning views over the neighboring Yarra River from the living area and both bedrooms. Fabulous kitchen with dishwasher , cooking utensils and crockery. You can use the communal gym. A secured under cover car space is provided free of charge for your convenience. We can also provide highchair and porta-cot upon request (free of charge). Wifi is available at an extra cost of $10 / night or max charge is $50 if you stay more than 5 nights. Late check in can be arranged with additional fees. $50 surcharge for check in later than midnight. I am a full time mother with 2 children who is running my own business from home. To me, family comes first. I am trying my best to make my guests feel home when staying at my apartment. Children are always welcome! Spacious apartment in prime location, with 2 bathroom and fully equipped kitchen and laundry. We had a great stay over Easter. The view of the river and city from the apartment is fantastic! The apartment is well fitted out, great beds, comfy couch, full bath, good layout, all the kitchen equipment you should need, spacious and clean. Owner was lovely, responsive and accommodating, couldn't ask for anything more! Extremely clean and great location. Highly recommend. Great location and a well equipped two bedroom, two bathroom apartment. We had a fantastic stay!